Some people who have installed Google’s new “Hangouts” app have been disappointed by the interface in Windows. It places an icon on your taskbar, and places some bubble icons along the right side of your screen that can get in the way. 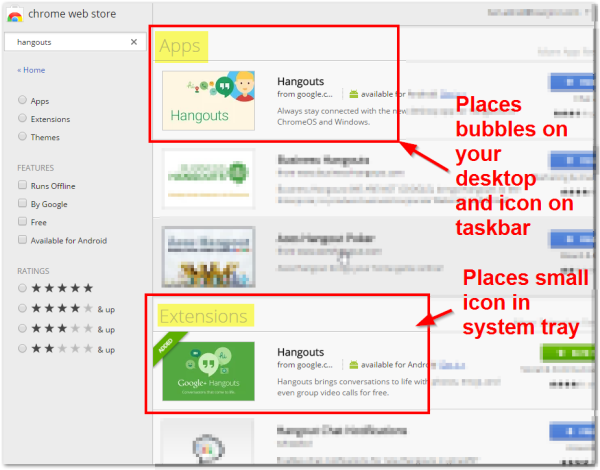 If you preferred the way Google Talk ran, as a small, unobtrusive icon in your system tray (the tiny icons by your clock), this is how to get hangouts to behave the same way. 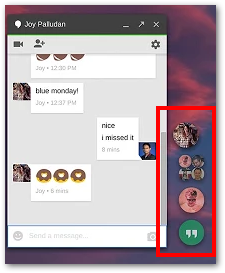 I found out today that there are actually two Hangouts options: the Hangouts extension and the Hangouts app. The Hangouts extension is the one you probably want. 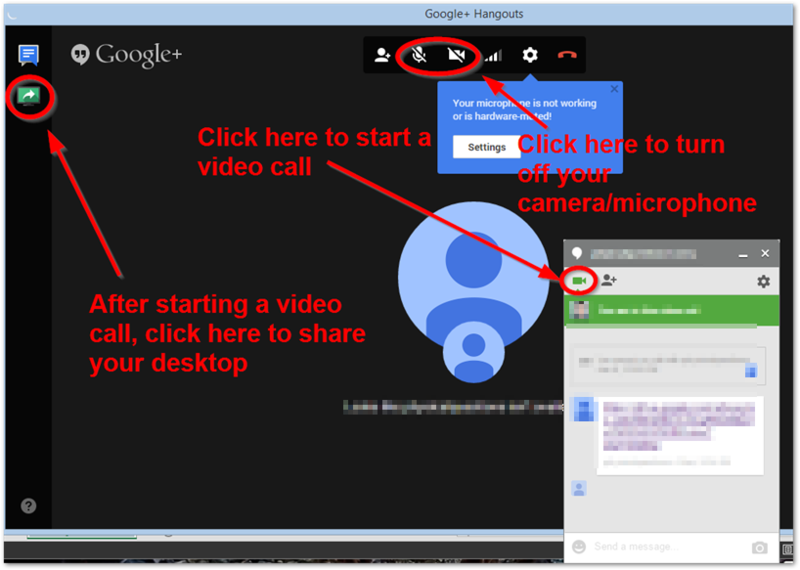 Did you know you can start a screen share from a Hangouts chat? Click the Camera button in the top left corner of the chat window. This starts a “video call” (you can mute your camera if you don’t want them to see you). Then hover your mouse on the left side of the screen to reveal a vertical toolbar. Click the green button to start sharing your desktop. This was EXACTLY what I have been looking for. Thank you for posting! Thanks for this. The Hangout app is infuriating and the window constantly pops itself into the foreground while I’m working. Extension is much better. Thank you. Man the app has been bugging me for months. This is so much better. Thank you so much – the little Google icon on my task bar and bigger icon on my screen were annoying. Your fix…well…fixed it! Spent so long trying to get the minimized windows back. Thank you so much for this clear explanation. @MaryCW Nope, Hangouts is a browser extension, so it has to run in the browser. The Google Chrome window can be closed, but Chrome will still be running in the background, and you will see the Chrome icon in your System Tray (aka Notification Area). Hangouts can’t run directly on the Windows operating system, it can only run from within Chrome. However, you can get a different chat app that supports XMPP, such as Pidgin. It’s a bit harder to set up, though.